We kick off 2018 LIVE Ochelli Effect with a great Tuesday discussion featuring Author Michael Swanson and Journalist Pearse Redmond attempting to sort through the nexus of foolishness , strategy , tweets , and tid-bits otherwise left to theatrical Bloviation that seem to be the current U.S. foreign Policy and intellectual calamity under President Agent Orange. First hour , Mike Swanson provides us with his view on how 2018 might play out and Chuck explains the great American sport of what-about-ism. Spinning wheels , around they go , where they stop ? , You may know , but Chuck sure as hell does not , and yet remains hopeful in the face of the impending year ahead. Foreign Policy Objects 2018 Iran , continues in the second hour with our friend Porkins as he breaks down the current images we are peeking at from the newest target of neo-neocon and Trumpet aggression. 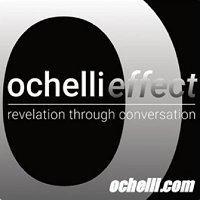 A lot going on for a Tuesday as we enter into a new year for the Ochelli Effect and dangerous or maybe not so dangerous times ahead. Foreign Policy Objects 2018 Iran . Meanwhile Religious Cults and Islamic whatever are in play during black ops of the past , future and present, and 2018 will be one for the books , even if we do not know the genera or genre just yet. Porkins Great Game episode 14 Is Kazakhstan in Trouble? On this episode Christoph and I turn our attention to Kazakhstan and the June 5th mass shooting. We examine the attack itself, breaking down what happened and the governments swift response. We explore the socioeconomic problems facing western Kazakhstan and how this may have played a decisive role is spurring on these attacks. We discuss the recent land protests across the Central Asian nation, and give a historical overview of Aktobe, including the role of western Kazakhstan in propping up the ruling regime. Next we move on to the recent killing of Taliban leader Mullah Mansoor. Less than a year after his rise to power Mansoor was killed by a US drone strike in yet another blow to the peace process. Christoph and I explain the precedent set by the US in not only targeting the top Taliban leader, but also having the strike take place in the spiritual and operational city of Quetta. We consider Pakistan’s strong condemnation of the US for breaking its commitment to forging a lasting peace between Kabul and the Taliban. We examine Mansoor’s frequent travel to Dubai, Bahrain, and Iran, as well as his Pakistani passport. Christoph explains the reasons behind Mansoor’s frequent travel to Iran. We also touch on the increasing violence in Northern Afghanistan which is slowly getting the attention of the US and Russia. Lastly, we discuss the recent row between Germany and Turkey over Germany’s parliamentary recognition of the Armenian genocide. We review the litany of harsh remarks from Erdogan and his government against Germany. Christoph gives us his perspective from within Germany as to how this is playing out there. He also discusses the satirical video put out by Jan Bohmermann about Erdogan and how this plays into the tense relationship between Turkey and Germany. We finish off with our “weird terrorism” segment by looking at several interesting stories: the CIA-Pentagon fight over supporting Al Nusra; the release of Israeli spy Jonathan Pollard, an update on Alparslan Celik. Christoph and I together announce the start of our Patreon campaign. For anyone interested in supporting the podcast and helping it to expand you can now donate on an episode-by-episode basis through Patreon. To find out more please visit us here. On this especially jam-packed episode, we being in Kyrgyzstan where the US Deep State continues to poke and prod the Central Asian nation. We start off by looking at a recent video leaked to Kyrgyz media which shows protest organizer Nurbek Toktakunov meeting with noted “color revolution” expert and Charge d’Affaires of Kyrgyzstan, Richard Miles. We also discuss the other bizarre events going on in Kyrgyzstan the past few months, including a series of mysterious messages posted on social media in the south talking about an Islamic takeover, and the supposed ISIS attack in Bishkek. Later we discuss how these events and the State Department’s giving a human rights award to Azimjon Askarov resulted in the Kyrgyz government’s renunciation of the 1993 Bilateral Agreement with the United States. Christoph and I explain what this means for both nations and why this is a significant development for both countries. For our second story we move to Xinjiang, and discuss the recent “Ramadan Ban” that continues to be bandied about every single year by usual suspects. Christoph and I break down the reality of China’s so-called ban, and how this has been being used by Turkey in an unprecedented propaganda campaign. We explore not only how the ruling Erdogan government has used anti-Chinese rhetoric, but how the far-right Nationalist Movement Party (MHP) has also contributed to the anti-Chinese Uyghur movement. We chronicle the latest actions by the MHP and their youth wing the Greywolves in organizing violent protests against not just the Chinese government, but Chinese people and businesses in Turkey. We talk about the attack on a local Chinese restaurant, where a Uyghur man thought to be Chinese was beaten, the assault on Korean tourists, the attempted lynching of a random Asian tourist and the assault on the Thai consulate. The latter incident brings us to another part of this story, the “Passports for Uyghurs” affair that we have previously discussed on the podcast. Christoph and I get into much more detail about this whole operation and how it works throughout South East Asia. For our final story, we move to another location and situation that we have discussed many times before — Afghanistan, and the continuing political developments there. We begin by updating listeners on some previously discussed issues. Christoph and I explore the recent Taliban peace talks in Pakistan, which were declared to be a breakthrough by all parties involved. We also look at the deteriorating security situation in the North in areas such as Faryab province. As Christoph explains, the situation has gotten so bad that warlord-turned-vice-president Abdul Rashid Dostum has teamed up with Governor Atta Noor to take the fight directly to the militants in the north. Later we move on to the most significant development in nation, the official confirmation that Taliban supreme leader Mullah Omar has been dead for two years. We look at why his death is being announced now, while the peace talks are actually progressing. We also dissect the insane several days that followed the confirmation of Mullah Omar death. We look at the election of the new Taliban leader Mullah Mansoor, and how this has fractured the Taliban into different factions. We also focus on the high-profile Taliban leaders, including Mullah Omar’s son Yacub, who are not supporting Mansoor’s ascent to power. We then touch on the other high profile “death” of Hussain Haqqani, and how ISIS is slowly but surely filling the void. This episode is especially long, with a ton of information, so please do go through the show notes. I have also included news clips and still images in the video version. Let me know what you think, and whether you would like to see more of this in the future. On this episode Christoph and I discuss several recent Gladio B revelations from Russia, China and even Kyrgyzstan. First we update listeners on the Boris Nemstov assassination investigation. We discuss how the case has hit a brick wall in terms of suspects and progress. We explain how the main suspect, Zaur Dadev, has recanted almost his entire story. We also discuss how alleged ringleader Ruslan Geremeev has vanished from Russia and is most likely hiding out in Dubai. We then move onto our first Gladio B story with the recent “revelation” from Putin that the FSB has intercepted communications between the US and Chechen terrorists in Azerbaijan. Christoph breaks this down for us and explains the context in which Putin chose to reveal this: a Russian TV documentary on his 15 years in power. Next we move our focus to China and its ongoing fight against the Gladio B network. We talk about the recent Uighur smuggling rings that have been exposed in Malaysia and Thailand, as well as how South China has become the premier destination for Uighurs who go off to fight in Syria and elsewhere. We then move on to a bizarre story that was broken by the South China Morning Post about an “American scholar” who was recruiting Uighur students to fight abroad. We wrap up this section by discussing how the CIA-backed Gulen movement has been exploiting this situation to attack the CIA-backed Erdogan government. As we finish off our Gladio B extravaganza we turn our attention to the mysterious 150 tons of “diplomatic mail” that was delivered to the US embassy in Bishek, Kyrgyzstan. We discuss what might be in this cargo (money, arms, spy equipment) and whether or not this may be part of some sort of “Maidan” color revolution. We finish of the episode by taking a look at a recent Congressional Hearing that featured Washington’s favorite terrorist cult leader, Maryam Rajavi, leader of the MEK, discussing how best to defeat ISIS.